(I wrote this article in the The News Minute on October 13, 2014. I am reproducing the article here, on my blog). The Nobel Prize is considered as the pinnacle of recognition in sciences. They are awarded in three categories: Physiology or Medicine, Physics, and Chemistry. From a common man’s perspective, these science category prizes are often awarded for some esoteric areas of research. Areas of research which are very important and path-breaking, but something that a common man cannot easily relate to. This year though, it was different. All three prizes were awarded for work that has tremendous practical significance and immediate real world benefits. Have you wondered how some people have an innate sense of ‘direction’? Well turns out, we have some kind of an ‘internal GPS’ system in our brains. Research has identified specific nerve cells: ‘place cells’ and ‘grid cells’, which are located in the hippocampus area of the brain. These cells help in determining our ‘orientation’ and ‘position’ in space, and help in navigation. 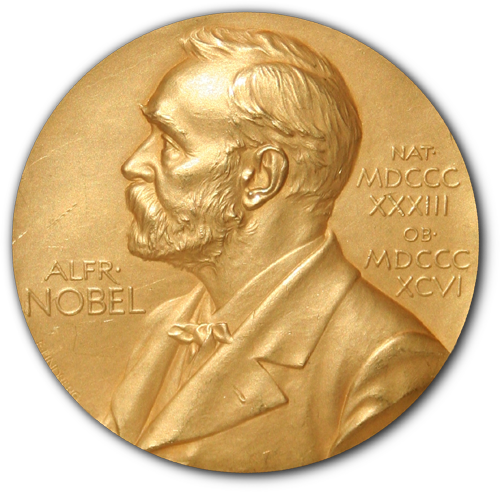 For their pioneering work in this area, the 2014 Nobel Prize in Physiology or Medicine was jointly awarded to John O´Keefe, and the husband & wife team of May-Britt Moser and Edvard I. Moser. It is interesting that O’Keefe’s work on the ‘place cells’ was done in the early 1970s, while the Mosers’ work was done in the last decade. For over 125 years, the limit of the optical microscope has been set by Abbe’s law , which implies that we cannot magnify objects that are smaller than half the wavelength of light (400 nano-meters). Viruses, cell components, protein molecules are much smaller than this size. Until recently, the only way to ‘look’ at these objects was via electron microscopes. However, unlike optical microscopes, electron microscopes have limitations. One of the biggest ones (as far as micro-biology is concerned) is that they cannot observe ‘living’ cells and interacting molecules. The pioneering work of the 2014 Nobel laureates in chemistry has helped in working around this optical microscope limit, and opening up the world of ‘nanoscopy’. Two separate principles were awarded, but both have one commonality. They work by using ‘fluorescent’ molecules. Stefan Hall developed the system of ‘STED’ (stimulated emission depletion) microscopy in 2000. Here, two laser beams are utilized; one stimulates fluorescent molecules to glow, another cancels out all fluorescence except for that in a nanometre-sized volume. Scanning over the sample can then yield an image that is better than the Abbelimit. Eric Betzig and William Moerner, working independently of Stefan Hall worked on the ‘single-molecule microscopy’ method. The method tries to turn on the fluorescence of individual molecules on and off. The same area is imaged multiple times, and a composite processed image delivers a resolution much better than that dictated by the Abbe’s limit. I am sure everyone has seen a Blue/White light emitting diode (LED light. These are getting increasingly popular over the past few years. LEDs are revolutionizing lighting and deliver over 90% electricity savings over conventional incandescent lights. They can also last over 100 times longer. Today, close to 25% of world’s electricity consumption is used for lighting. Over the next few years, LED lights have the potential of driving down world’s electricity demands by up to 20%! Red and Yellow LED lights have been around for over 40 years. To produce white LED, we need to mix the Red and Yellow LED light, with a Blue LED light. Hence the need for a Blue LED light. Theoretically, building a Blue LED seemed straight forward, but practically it took over 30 years to come up with a process to produce a diode that can emit blue light. Isamu Akasaki, Hiroshi Amano and Shuji Nakamura were awarded the Nobel Prize in Physics for their work in the early 1990s that produced bright blue light beams from specialized semi-conductors. Over the past 2 decades, further development has driven down the cost of the blue and white LEDs significantly and the prices continue to fall.